Students arriving on site move past a large crater where several Canadian soldiers are pinned down by rifle fire directed at them by German marksmen. Further up the road a scene unfolds where a critically wounded soldier is being treated at a Russian aid station. 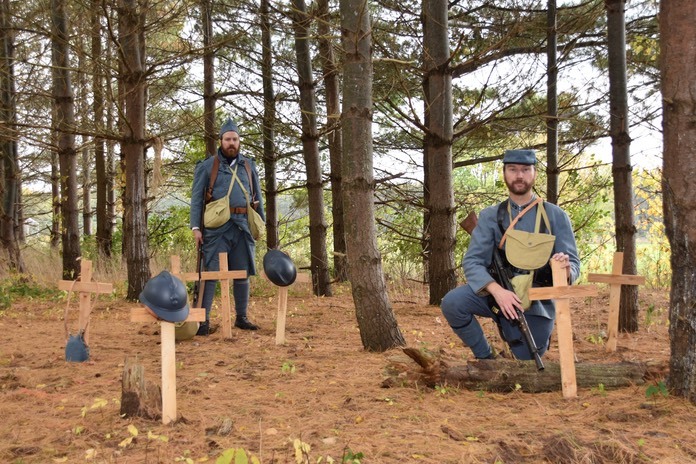 French soldiers stop by to visit a modest cemetery in the pine woods. This scene is based upon a story in the book Mr. Poilu: Notes and Sketches With the Fighting French by Herbert Ward. The cemetery sketch featured in this book is faithfully recreated here. One outstanding feature of our WWI programming is that of the Battlefield Scenario. All students and teachers participate in this activity by crossing an obstacle-strewn battlefield to the accompaniment of realistic sound effects. 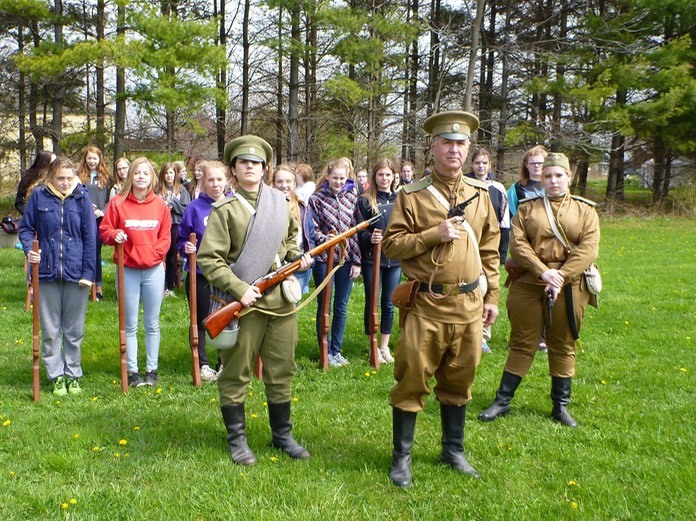 Soldiers of Great Britain and the Dominion of Canada, Germany, France, Belgium and Russia are represented on the battlefield. 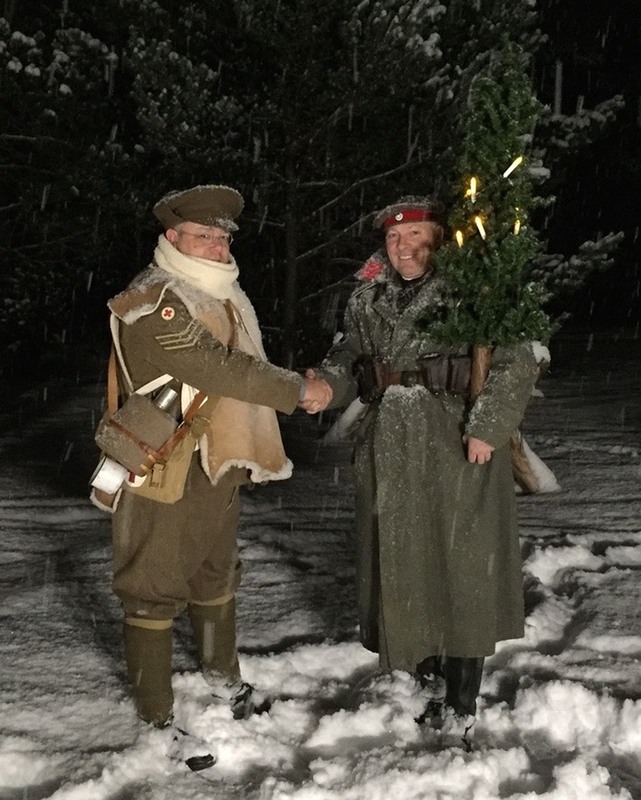 In certain areas on the Western Front a brief, unofficial, truce took place on Christmas eve and Christmas day 1914. Open fraternization between opposing forces occurred involving non-confrontational meetings in No Man’s Land. Hands were shaken and small gifts were exchanged. Strains of Stille Nacht (Silent Night) wafted on the breeze. A British stretcher bearer and a German soldier meet face-to-face for the first time. More friendly greetings transpire in No Man’s Land. 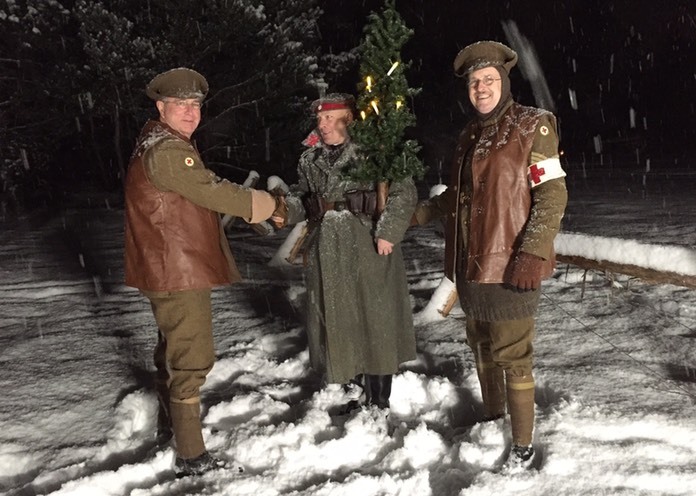 Initially we ran this event on two consecutive nights in December at Simcoe County Museum (Barrie) for several years where it was very well received. Site visitors arrived near our location by horse drawn wagons. 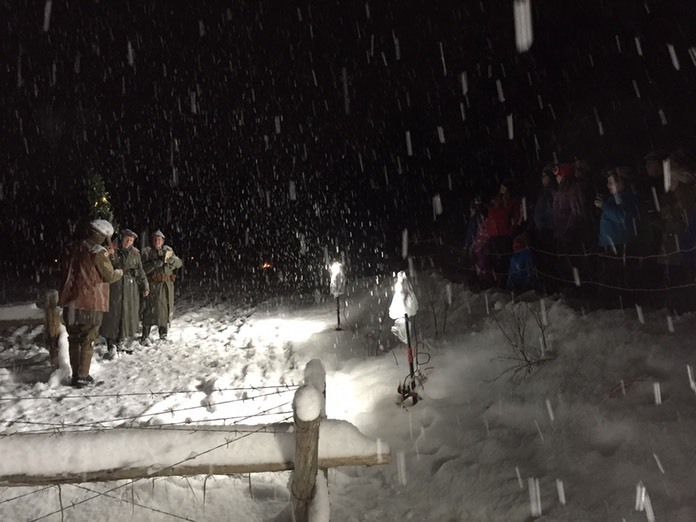 They were served hot chocolate around a campfire prior to taking a tour of a recreated WWI trench. 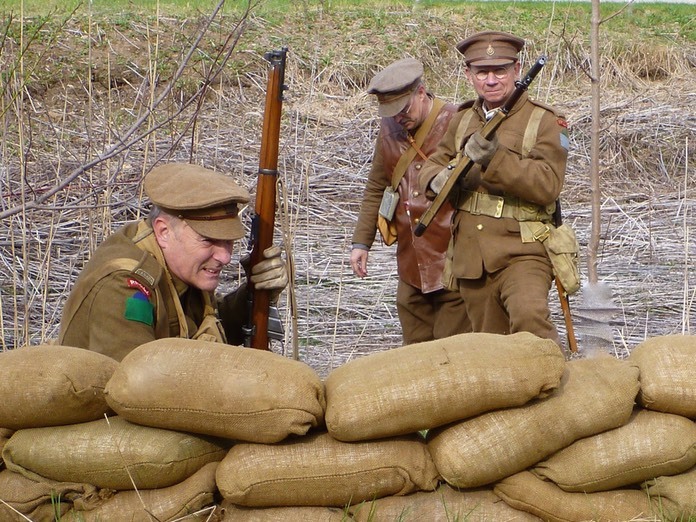 The trench featured a FORWARD AID POST and many other details of interest. Guests were then taken up onto a berm that sits overlooking No Man’s Land where the story unfolds. In 2018 we premiered this event at Fanshawe Pioneer Village in London.